Paul Akers demonstrates FastCap’s Fast Shim. 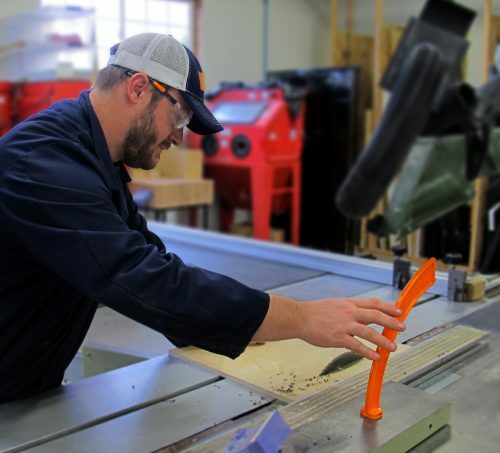 This product allows you to safely create your own custom shims…fast! Paul Akers demonstrates FastCap’s Little Lipper. It is a guide that mounts to your router and keeps the router from dipping. Installing 5-piece shaker drawer fronts? The 15° Drawer Drilling Jig (DDJ) will increase the speed and quality when attaching 5 piece shaker drawer fronts. The DDJ allows you to drill a pilot hole at PRECISELY a 15° angle through the corner of the drawer. The screw is now perfectly positioned in the center of the stile for maximum holding power. You no longer need washers or oversized screw heads to get the drawer front attached or adjusted. This allows the built-in adjustability of under mount slides to easily fine-tune the drawer front to the cabinet.>. 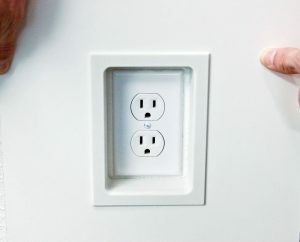 Paul Akers demonstrates how to use FastCap’s FlipBolt Template for a router to make the perfect placement for FastCaps FlipBolt, used for easy (invisible) countertop connections. For more information on these products, visit our website. Lukas introduces FastCap’s J Hook…for those who don’t want or don’t have time router.